Well, this is awfully inconvenient. 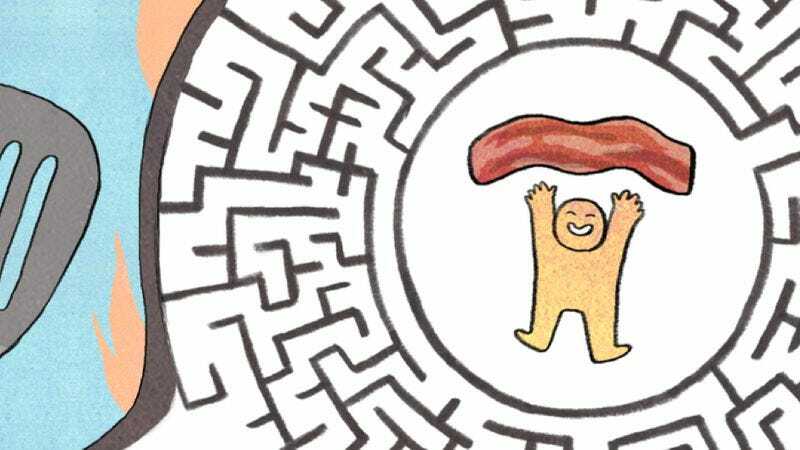 The only thing separating you from breakfast is this labyrinth, and there’s only one path to the destination. Can you reach it in under 60 seconds? Thanks to illustrator Lucy Knisley, you can print out this PDF and put your bacon navigation skills to the test.